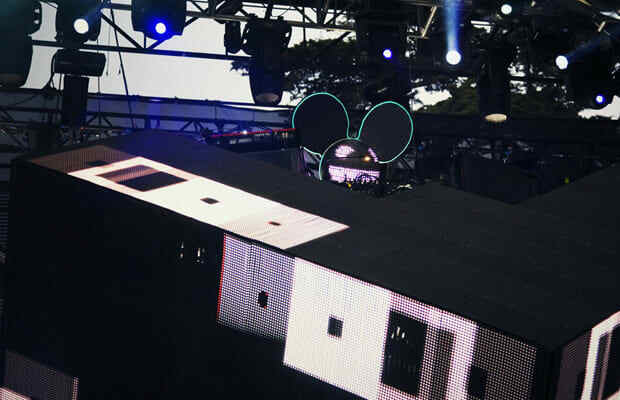 Deadmau5 (pronounced "dead mouse") makes music positioned squarely at the intersection of pop, house, and trance, which is a busy intersection of styles, more prone to accidents and collisions. Deadmau5 makes some of the stupidest music that's popular right now. There's no judgement attached to that description; in fact, "stupid" isn't even meant in a perjorative way. Dumb music is like a big clumsy finger pushing the same pleasure center in your brain over and over again. Deadmau5 makes dumb music.